Emerging service platform providers are demanding that their infrastructure environments are truly distributed, along with being scalable, secure and redundant. A distributed infrastructure environment that allows for automatic failover, load balancing and a means of regional content distribution. The early days of DIY cloud providers are coming to an abrupt end while the more traditional and popular global hosting environments tend to negate the need for “in country” requirements. Enter, the emergence of “in Country” distributed infrastructure based companies who have been the beneficiaries of choice for SaaS based platform providers looking for specific “in country” requirements. Resource based companies that have spent the capital and resources in building a nationally distributed infrastructure, interconnected by dedicated private fibre networks. Relying on a third party for your success is scary to say the least, awareness and due diligence paves the way for predictable reassurance. 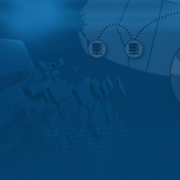 Looking for more information on Server Cloud Canada's “in Country” distributed infrastructure? I am curious to find out what blog platform you happen to be using? I’m experiencing some small security problems with my latest blog and I would like to find something more safe.